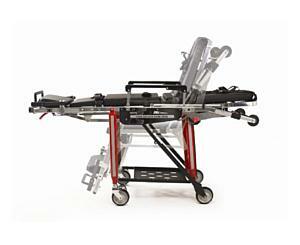 The New 28Z PROFlexx Chair-Cot provides maximum versatility in confining environments. The maneuverability and flexibility of transforming from chair to cot allows you to respond in confining environments, such as tight hallways, narrow staircases, and small elevators, without transferring the patient. The 28Z's light weight, superior stability, load capacity, and flexible handling features reduce situations that may cause injury to you or your patient.